1st page-match pictures of classroom objects to the words, the 2nd page-pupils color some classroom objects reading instructions, complete the sentences and write the words in plural, 3rd page- the key. 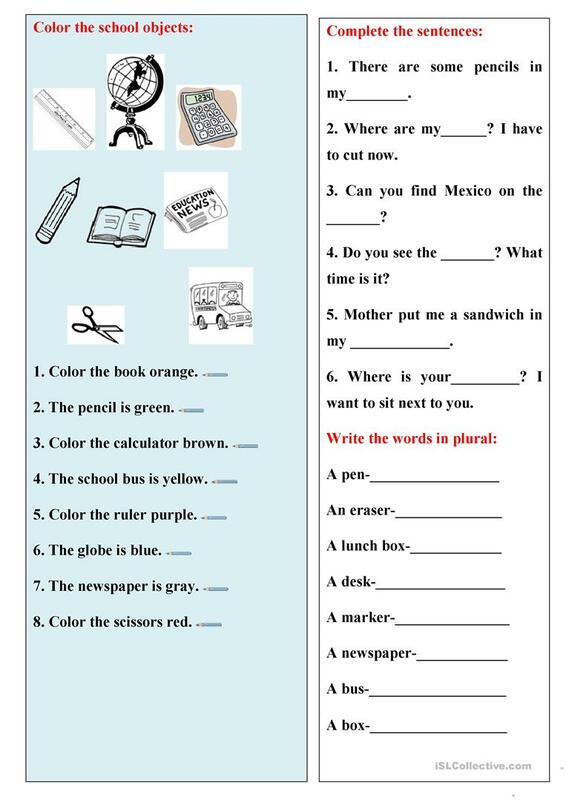 The present downloadable worksheet is recommended for elementary school students and kindergartners and nursery school students at Beginner (pre-A1) and Elementary (A1) level. It is useful for improving your pupils' Reading and Writing skills. 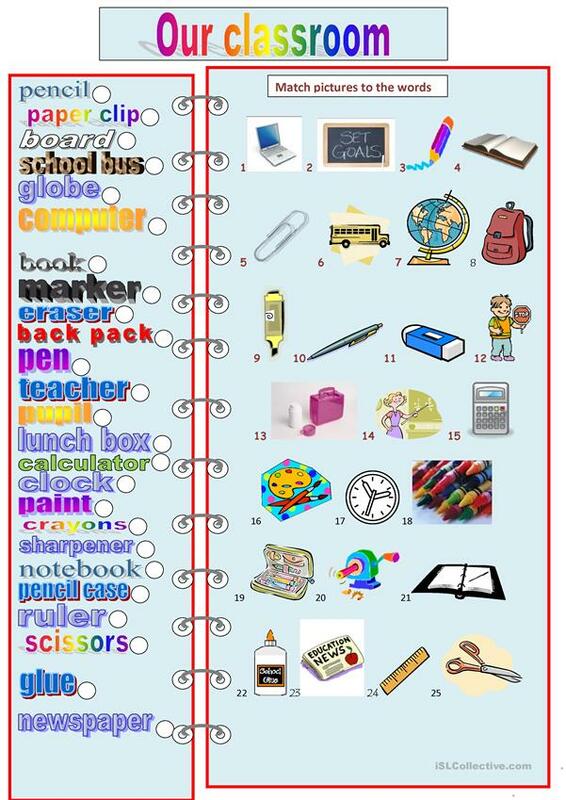 It is focused on the vocabulary topic of Classroom. There is a key provided with the exercises.